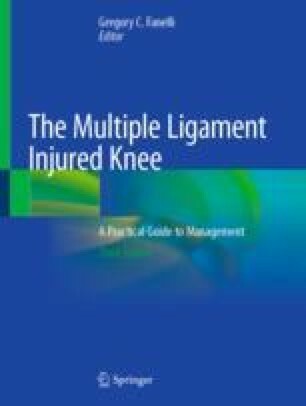 Although the majority of orthopedic surgeons infrequently encounter multiple ligament disruptions of the knee, these complex injuries represent a challenging clinical problem. The type of ligament graft selected by a surgeon for ligament reconstruction is an important determinant in the clinical management and outcome of these patients. The need to appropriately select multiple grafts while managing the individual concerns of well-informed patients necessitates a broad understanding of the variety of graft options available for knee ligament reconstruction. In this chapter, we will review the medically relevant differences among the many graft options currently utilized in knee ligament reconstruction. There is great variation among the different tissue grafts, which are commercially available to surgery centers and hospitals with regard to their origin, mechanical properties, and processing. We will also review other important aspects that pertain to allografts including information concerning the commercial procurement, regulatory parameters, and clinical safety with the goal of providing physicians with a fund of knowledge that will allow them to critically assess which ligament graft is best suited for the expectations of their patient.